If you are looking for a new challenge, this BOSU ball workout for your core should do the trick! 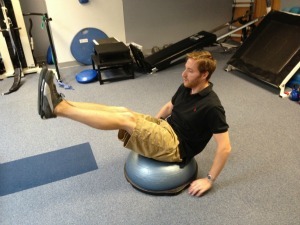 BOSU balls are a very versatile piece of equipment that you should consider adding to your golf weight training routine. 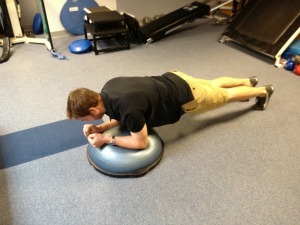 You can work all aspects of your body, but on this page we will focus solely on core exercises. If you are interested in workouts for other areas of the body, please refer to the links that are present near the bottom of the page. You will notice some similarities between this BOSU ball workout, and those with a traditional exercise ball. 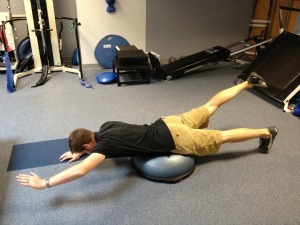 However, the fact that a BOSU ball is flat on one side allows for different variations of many common exercises. The instability that this training aid provides will make all of your core muscles work extra hard! For example, perform the "V Sit" exercise on the ground first, followed up by the same position on top of the ball and you will feel the difference. Like all advanced routines, it is smart that you familiarize yourself with the more basic versions first before progressing to the more difficult ones. This way, your body will already have some understanding of exactly you want it to do. Also, you will cut down on your risk of injury as well (which is the last thing that any golfer should want). 1. Platform Up Plank - Start kneeling by the ball with the platform side up. Grab a hold of each side of the platform with either hand, keeping your elbows locked. Walk your feet back until you are in the plank position and hold. Modifications - Hold the plank and alternate leg lifts/rest your forearms on the platform and hold the plank. 2. Ball Up Plank - Start kneeling by the ball with the ball side up. Similar to above, as you can either perform a plank with the arms straight, or by resting your forearms on the ball. Modifications - Alternating leg lifts while in plank. 3. 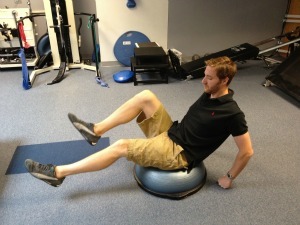 V Sit - Sit on the dome of the BOSU ball. Lean your upper body back, and straighten your legs. To perform the V, raise your upper body and bring your legs off of the ground and knees toward your chest. Hold and repeat. 4. Leg Lifts - Sit on the dome of the ball, with your hands behind you, providing support. Lean your upper body back slightly, and keeping your knees straight and feet together, slowly lift your legs up into the air. Lower your legs, and then repeat. 5. 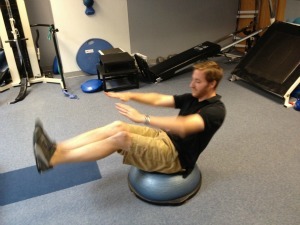 Bicycle - This will be one of the most challenging exercises in your BOSU ball workout. Lie on top of the ball with your low back and pelvis centered on the dome of the ball. Place your hands behind your neck, and lift your legs off of the ground. 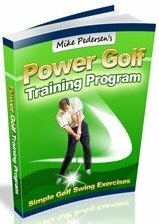 Bring your right elbow to your left knee and then repeat with the left elbow and right knee. Fight to keep your legs in the air! 6. 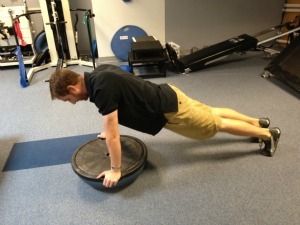 Bird Dog - Start on all fours, with your knees resting on the BOSU ball, ball side up. Holding your abs tight and back straight, slowly reach forward with your right hand and kick back your your left leg so that elbows and knees are straight. Return to the starting position and then repeat with opposite limbs. A harder version of this would have you laying on your stomach on top of the ball while lifting your arms/legs and keeping your back perfectly straight.